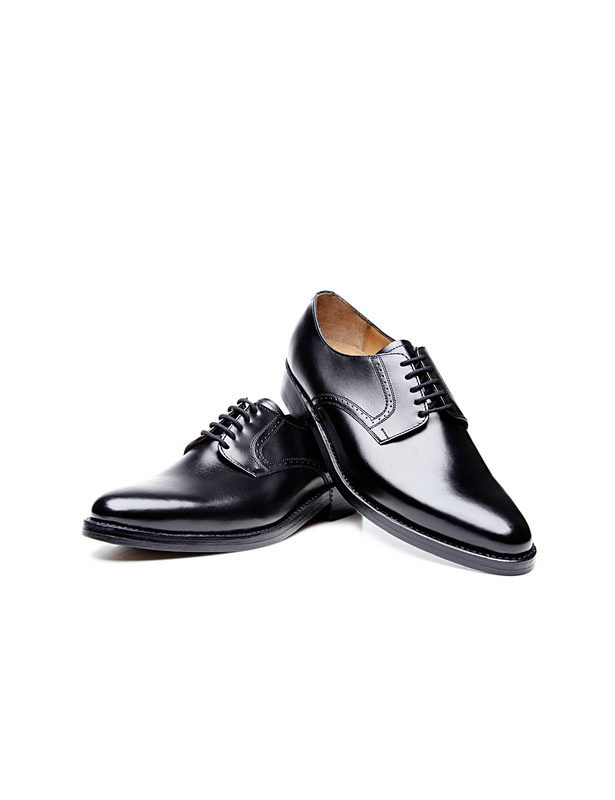 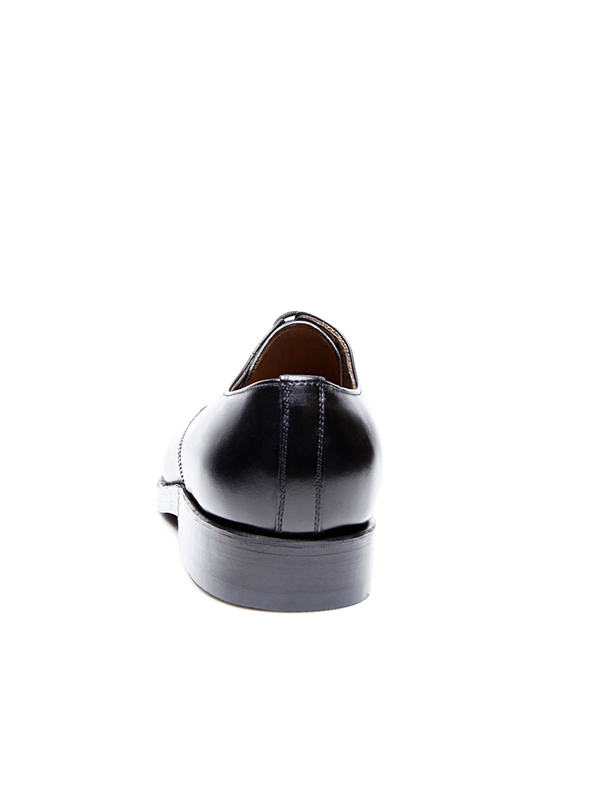 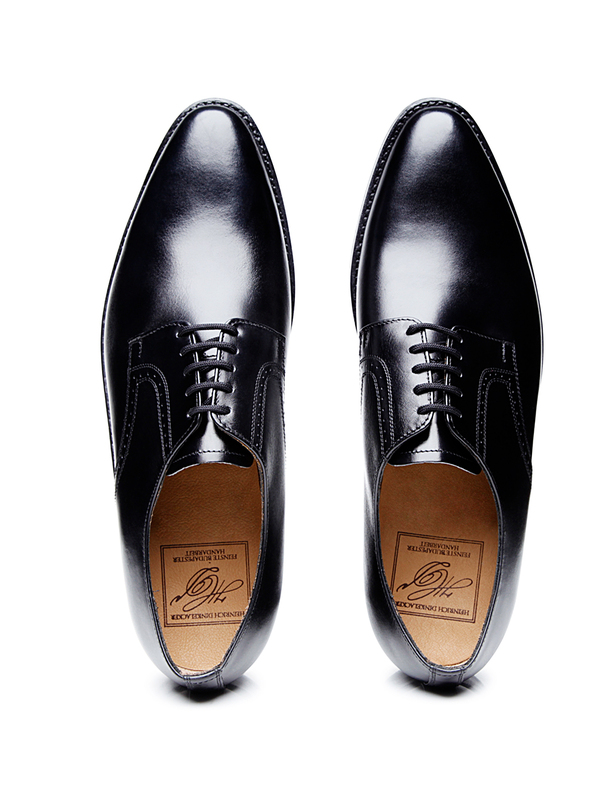 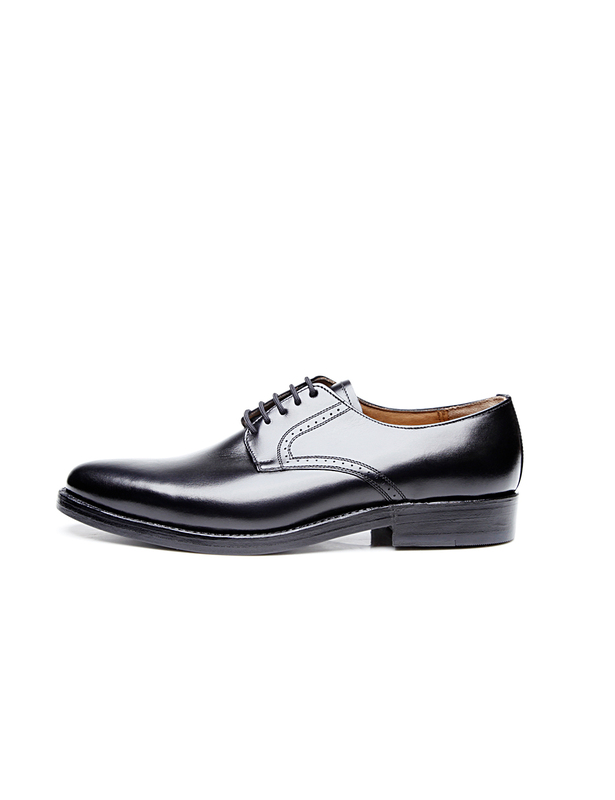 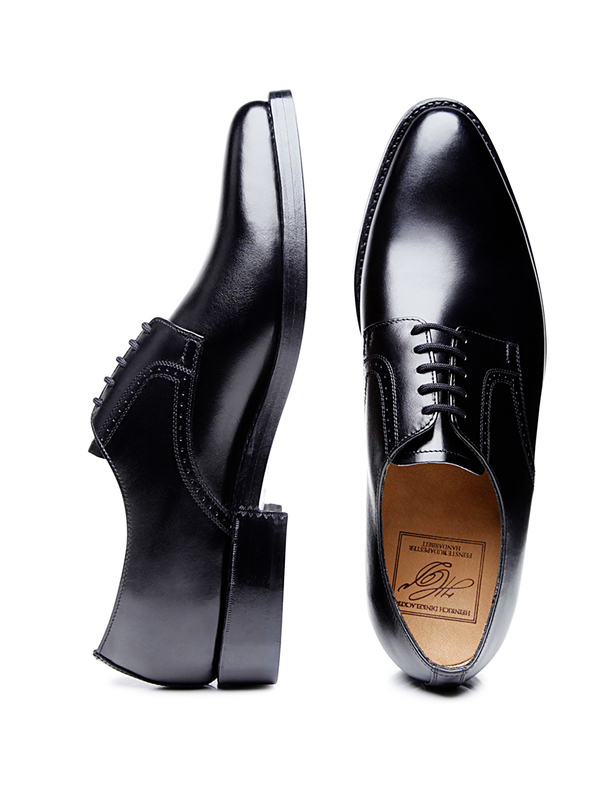 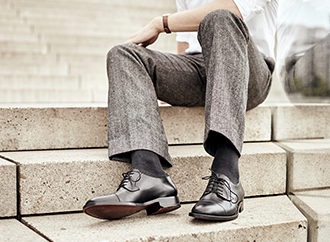 A handcrafted, sewn-welted Derby that exudes charming elegance. 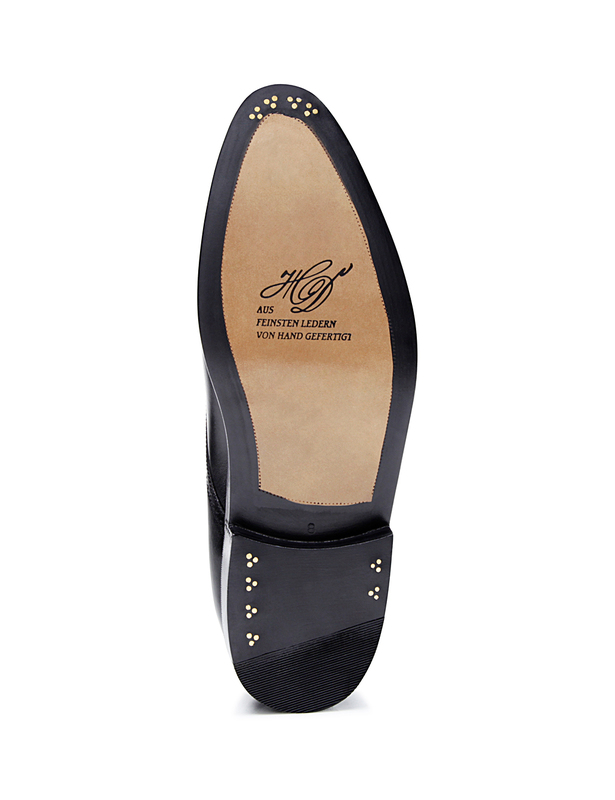 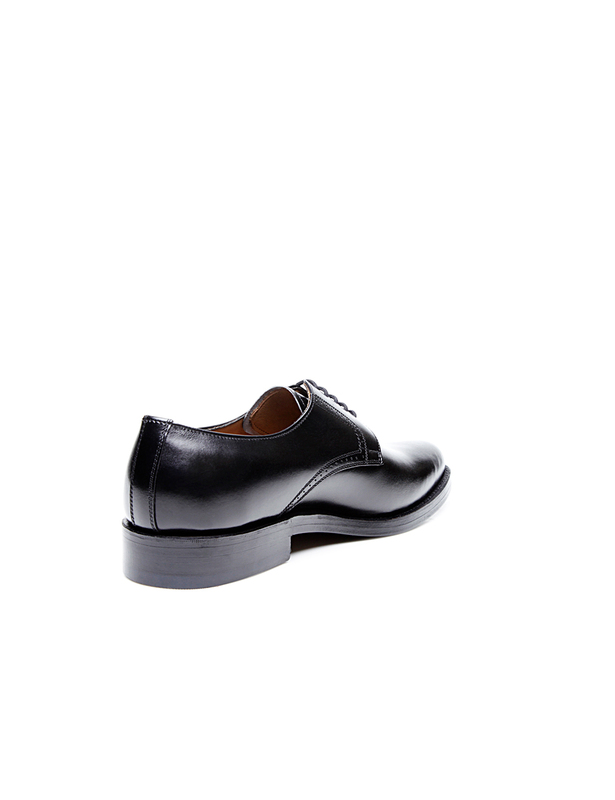 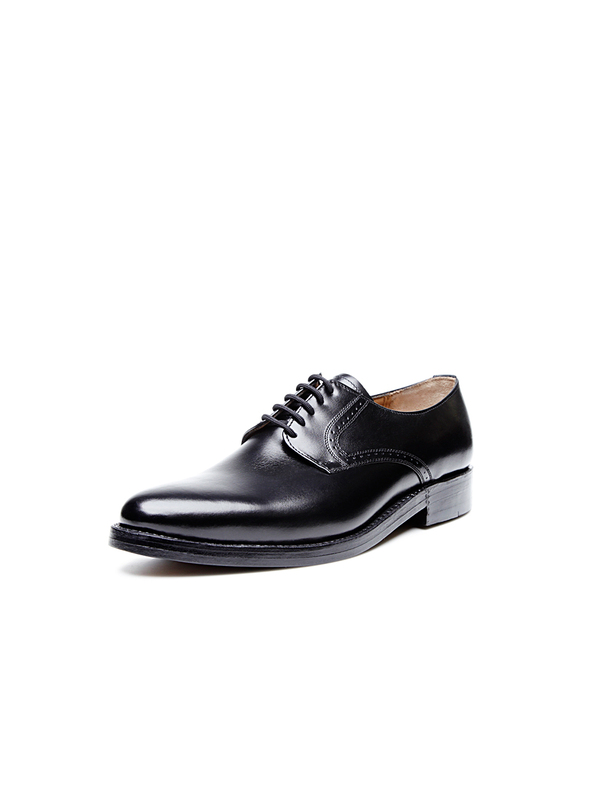 This classic black shoe was made from the finest box calf and features open five-eyelet lacing. 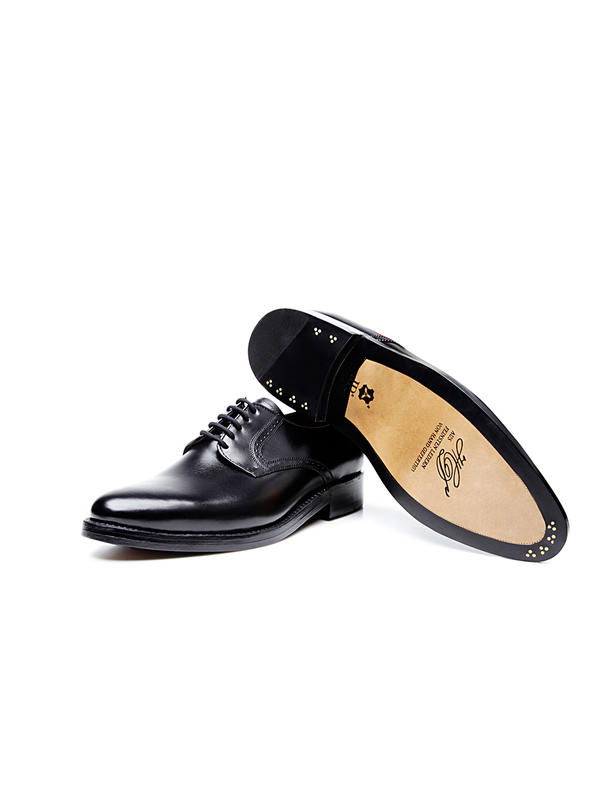 Its clean basic shaft cut is only interrupted by the two curved quarters on top of the vamp and their subtle Lyra perforation. 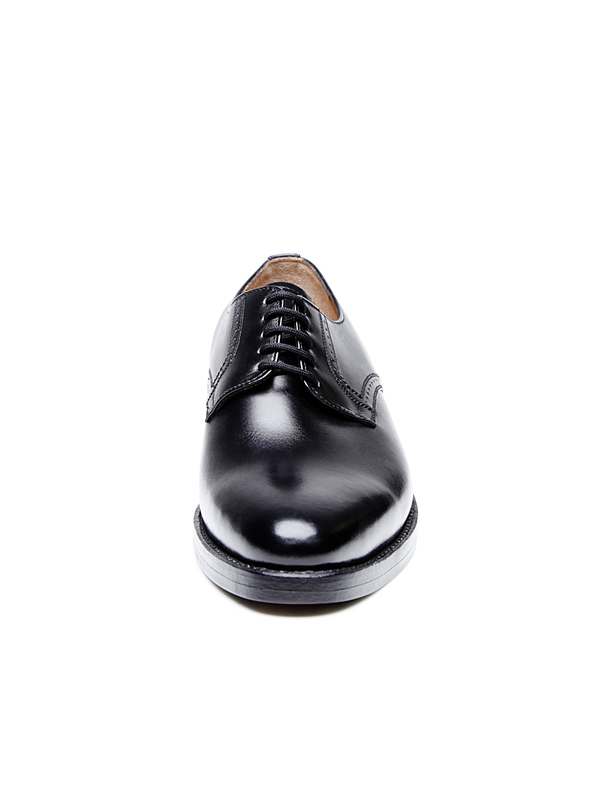 Meanwhile, a durable double sole made of Rendenbach leather lends to this full-leather shoe’s exclusive quality. 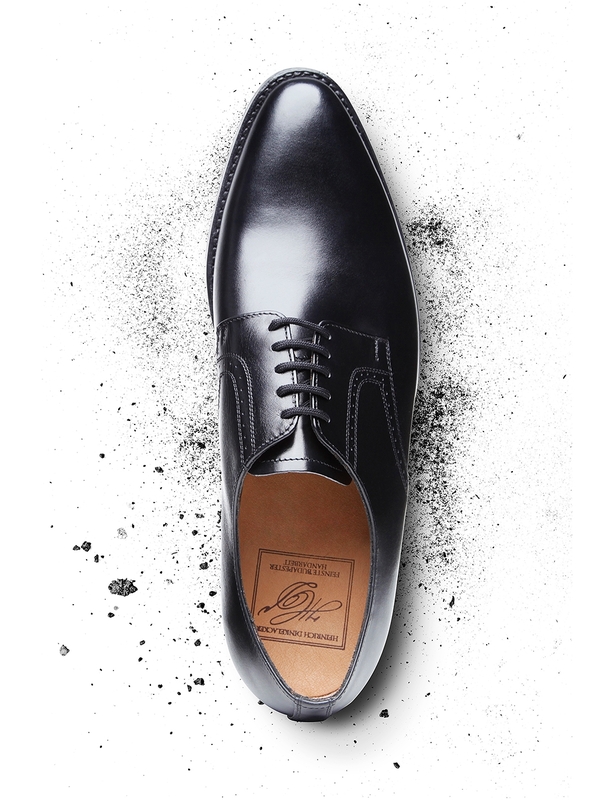 All in all, this handcrafted masterpiece of classic cobbling expertise is the perfect complement to formal business attire and festive occasions. 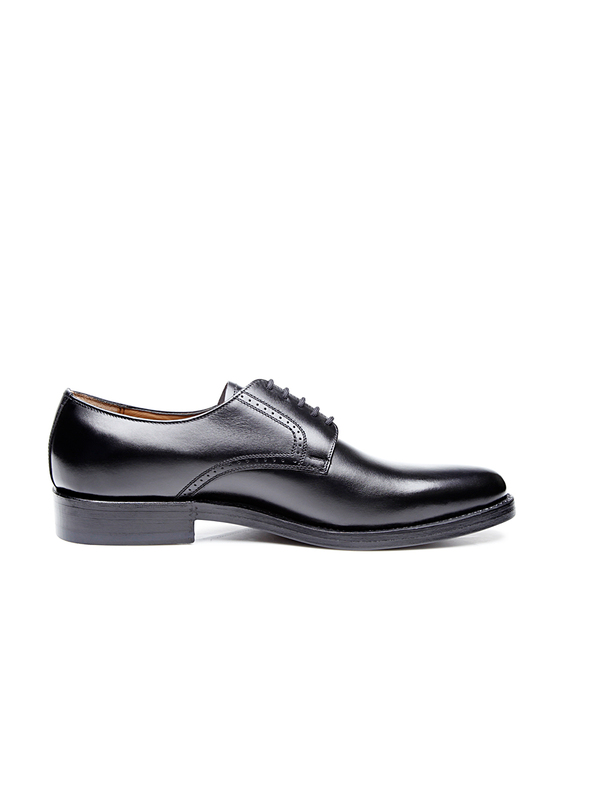 It has been made using a last that gently tapers toward the front, making it the perfect choice for average-width and narrow feet.